Today’s post is the Last Will and Testament of John Elmer Mix (DOB: 28Dec. 1864) (DOD: 25 Jan. 1951) as found in the office of the Register of Wills at the Potter County Courthouse, Coudersport, PA). House and outbuilding on corner lot in Shinglehouse boro, bounded by (North) Honeoye Street, (east) Bailey Avenue, (south) self, (west) Friar. Appraised at $2,500.00. Barn on lot in Shinglehouse boro, bounded by (North) Honeoye Creek, (East) Ruth James, (south) Honeoye Street, (West) O. Holcomb. Appraised at $500.00. AFTER SALE of all lands and holdings Winifred received $554.04 and each of the three children received $554.03. DOCKET: Volume “P” (page 396); INHERITANCE TAX BOOK: Book #2, page 78, line 25; WILL NUMBER: 4896. Researched by Dayton D. Mix, August 11, 1995. About a decade ago I helped research the Bennett family using J.H. Beers & Co.’s 1890 book: History of the Counties of McKean, Elk, Cameron, and Potter, Pennsylvania. Here are the references from the Potter County area. By the way, italics are my explanatory notes. p. 1014 Atlas Bennett listed as Associate Judge (1876), although he died before qualifying for the position and another was appointed in his stead by the governor. p. 1024 A.B. Bennett was one of the chief contributors for the academic school at Lewisville in 1859 (Today’s Ulysses, PA). 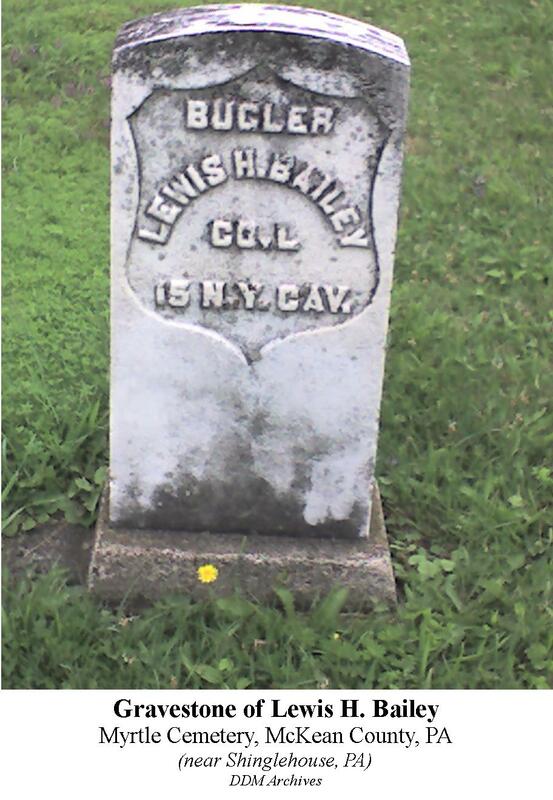 p. 1038 Allen Bennett of Bingham, Civil War soldier ID’d on monolith at Coudersport. p. 1057 D.R. Bennett listed as a resident taxpayer of Coudersport in 1848.
p. 1097 E.O. Bennett, 89th NY Volunteers, a member of the Galeton G.A.R.1885. p. 1140 Clarrissa Bennett charter member of Lewisville W.C.T.U. 1884. (Today’s Ulysses, PA) (W.C.T.U. = Women’s Christian Temperence Union… a social organization devoted to making alcohoilic beverages illegal in the United States). p. 1141 listing of general business in Lewisville boro, c. 1880 includes: “Abram Bennett” as a general merchant. Tags: Bennett, Civil War, Coudersport (PA), G.A.R., Galeton (PA), Harrison Valley (PA), Lewisville (PA), Millport (PA), Potter County (PA), Ulysses (PA), United Brethren Church, W.C.T.U. 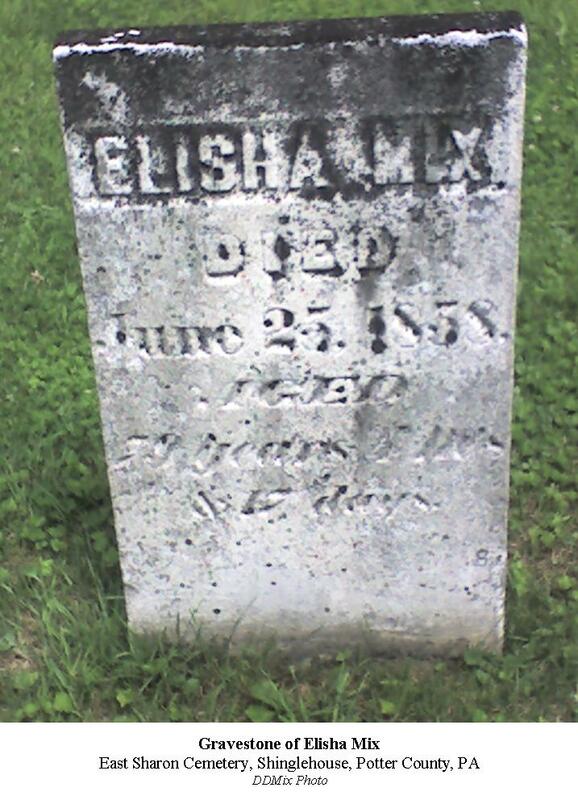 Today’s post is the followup to my post on May 9, 2013 which featured Elisha Mix’s gravestone. Elisha married Polly Orvis, but I have NO information about when or where, nor do I have even a birth or death date for Polly. Elisha lived 1779-1858, so that would be about the same range of Polly’s life I suppose. I did discover that they had at least 2 children: a girl, Arte Mesia Mix, born in 1805 and a boy, Elisha Mix, born in 1810. I have no other information about this couple at all except that they are buried side by side in the East Sharon Cemetery near Shinglehouse, PA, in Potter County. 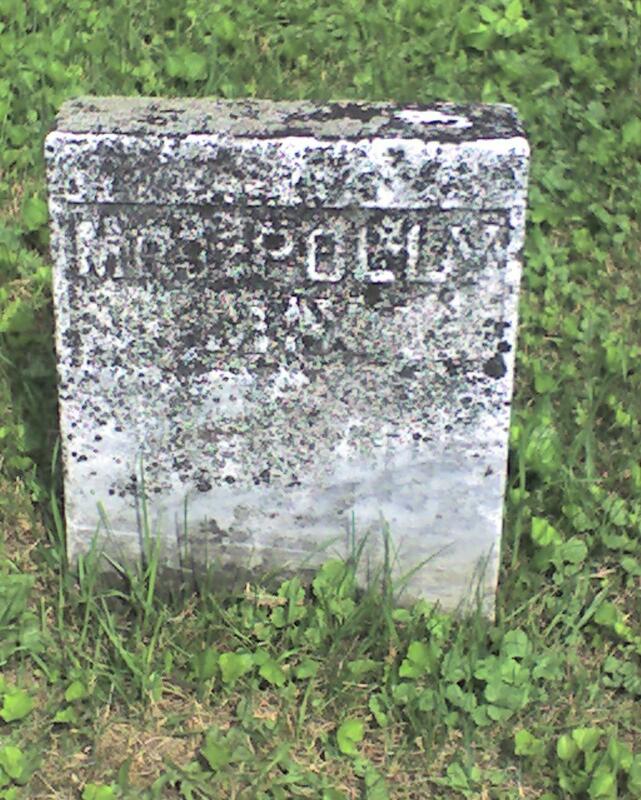 This gravestone belongs to Elisha Mix, brother to my great-great-great-great grandfather Theophilus Mix, Jr..
Elisha was elected circa 1835 as a member of the very first set of county commissioners for Potter County, PA. His signature is on file at the Potter County Courthouse on the very first will submitted and housed at the courthouse (Will # 0001). Known as “Captain Mix,” Elisha had served in the War of 1812. He was a lumberman by trade and one of the very earliest settlers in what is now the Shinglehouse area in Potter County. Today, I wanted to highlight an item of interest being auctioned on eBay.com most who follow my MixedGenes. 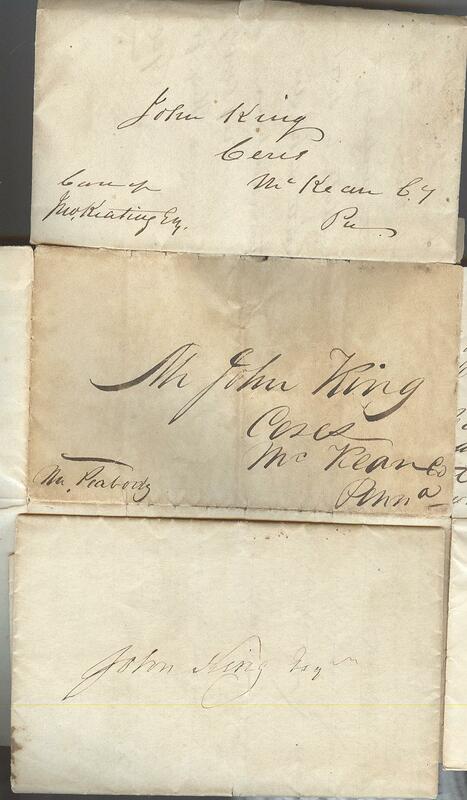 The seller has 3 handwritten letters addressed to John King (of King’s Run fame in Ceres Township, McKean County, Pennsylvania). As an historian I would LOVE to read these! The seller (who has NOT paid me anything to highlight this, nor do I know him/her) has researched a bit into the 1840’s in the Ceres area and includes that info into the auction’s description. As already stated all three of the letters are addressed to John King: they were written by John Keating, George Stewardson, and one from Robert Rove. The letters are dates 1842, 1845, and 1848. They address land concerns and financial transactions. The price is already above what I can bid on, but for others studying the McKean and Potter County histories, these might be something you would find interesting. I have just one request: If you do bid on them, and win, please let me read a copy or a scan. THANKS!